As a three-time PennDesign alumnus, I was honored to have the opportunity to return to the School as dean. For nearly 150 years, our School has thrived with support from individuals who, like me, believe in the people of PennDesign. From our studios and laboratories on campus to the firms and agencies that employ our interns and alumni, PennDesign pursues deep inquiry and meaningful action on a host of important issues. Every day, across our renowned academic programs and research centers, people are engaged with the most pressing environmental and social challenges faced by humanity today–from climate change and urbanization to clean energy, equity, and inclusion. Supporting their work in the present directly impacts their ability to shape the future we all wish to see. Because of your generous support, PennDesign can continue to advance innovative practice, further develop new interdisciplinary studios and workplaces, and promote incisive research leading to real world solutions. PennDesign Development and Alumni Relations staff are here discuss your involvement. Visit our online directory (see “Team”) for details. 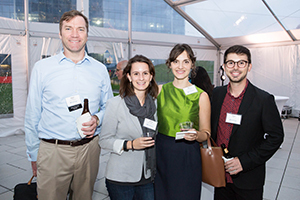 We are grateful for your support in helping to sustain and grow PennDesign.